The Australian state of Canberra is 100 years old this year. 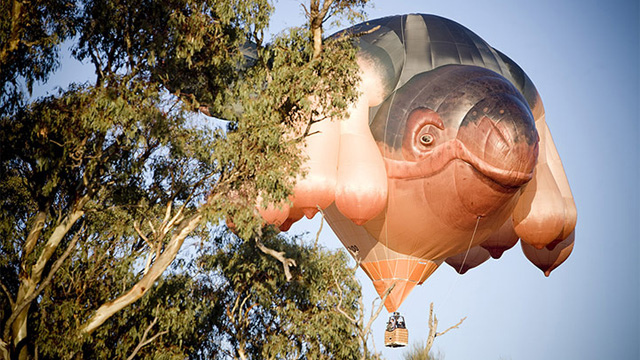 As part of the on-going celebrations the Skywhale – a 34 meter long hot balloon was commissioned to symbolize… well, a lot of Canberrans aren’t exactly sure what. Skywhale has hardly gotten off the ground before she is the center of very divided opinion.